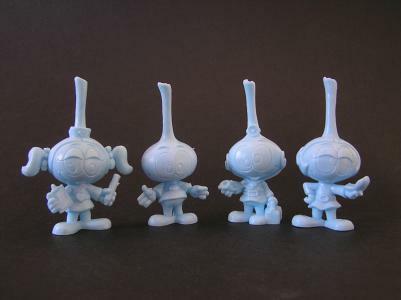 The Snorks (Snorky in Italy) are little sea creatures that live underwater, of belgian birth, they aired on television in the mid-eighties for 4 seasons and even if they weren't successful as their french 'cousins' Smurfs they have a considerable fandom. 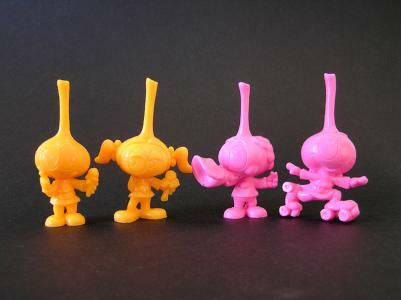 Many Snorks toys were produced, including painted minifigures made by Schleich (the same company that did Smurfs minifigures), but here comes Yolanda! 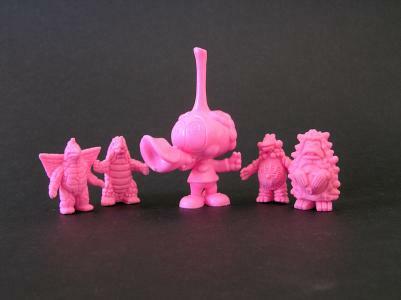 A spanish toy company well known for his wide array of minifigures made, in this case they reused some Schleich sculpts to cast some Snorks, some were in soft plastic and painted, some were in hard plastic (comparable to M.U.S.C.L.E., maybe a bit harder) and unpainted. 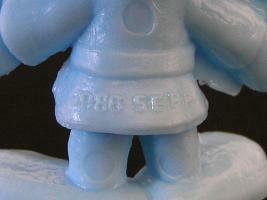 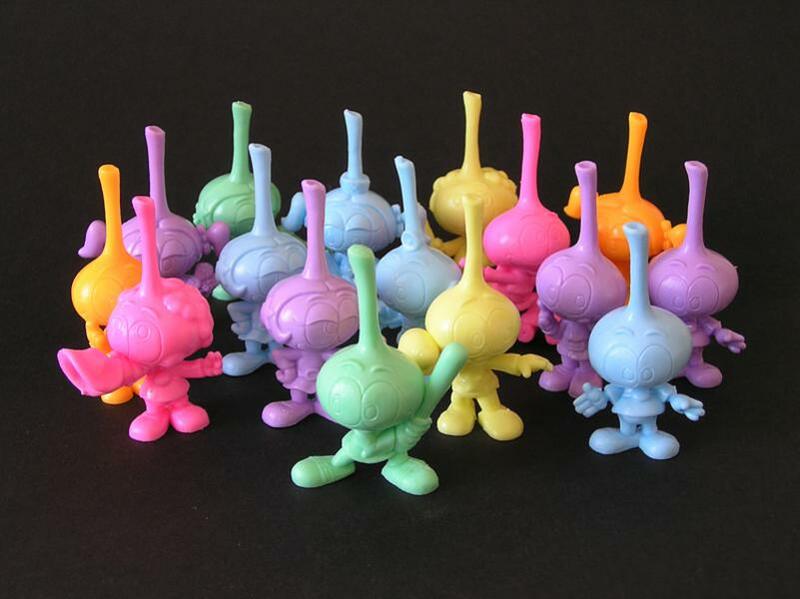 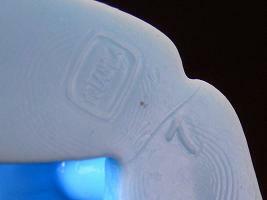 The unpainted ones were casted in amazing pastel colors, however only 16 figures were made. 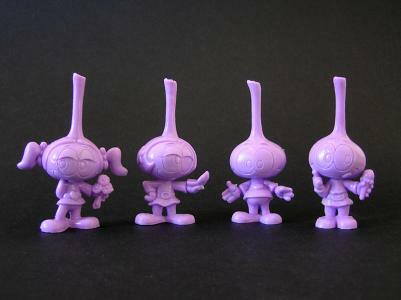 They have markings embossed on the bottom of their feet and on the back: a number, a "Yolanda" write and "© 1986 SEPP" write that represents the belgian licensing company that created the Snorks concept in 1982. 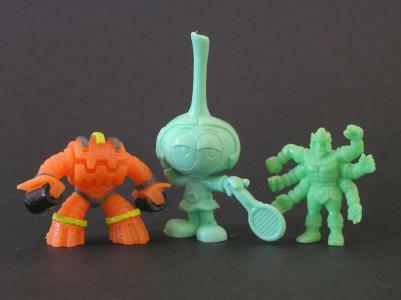 Here is a comparison image, along with a Gormita and a M.U.S.C.L.E. 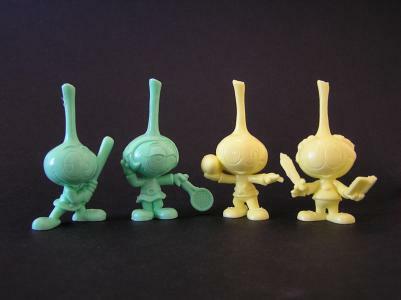 With only 4 colors produced and only 16 figures available (12 if you look at unique characters) this unpainted toyline is one of the smallest produced by Yolanda and most important it's not too hard to get a complete set.